Click on the images below to learn more about ACTS Housing’s current job openings! 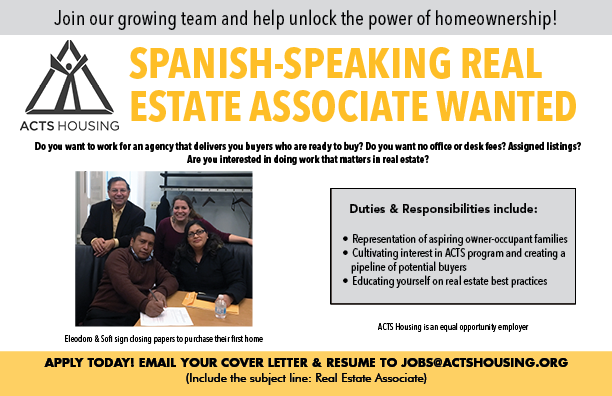 ACTS is currently hiring a Spanish-Speaking Real Estate Associate! Take a look at the job description below and send your resume to jobs@actshousing.org.